As the rain had started to slow down last night, I organised a small outing with my good friend this morning to see if the weather had brought down any migrants on to the Malvern Hills. Meeting at half 6, we decided to do the two highest points on the Malverns (North Hill and Worcestershire Beacon) hoping something would have dropped in. We weren’t dissapointed with great sightings of 5 Ring Ouzels, and single Wheatear and Redstart. 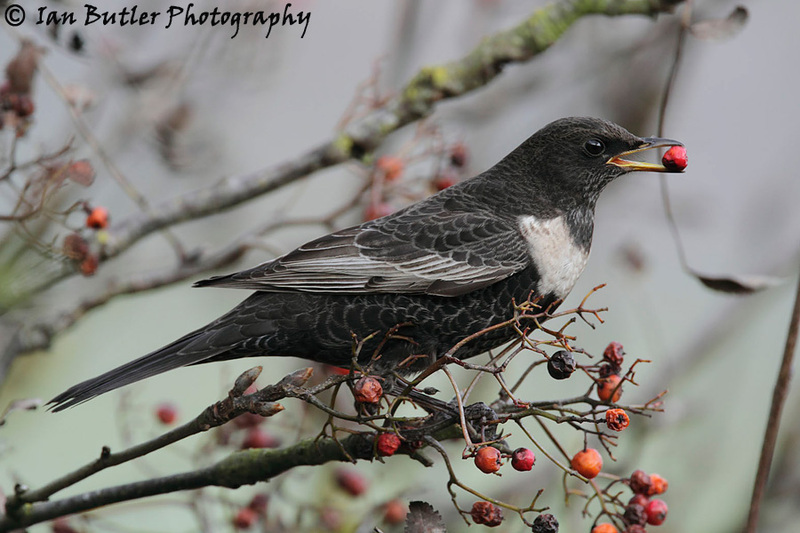 To celebrate, todays image is of a male Ring Ouzel I photographed on the hills two years ago in the autumn when they came back through the Malverns from their breeding grounds. Ring Ouzel, Turdus torquatus, Malvern Hills, Worcestershire, October, 2009. Canon 7D with Canon 500mm f/4 L IS lens with Canon 1.4x teleconverter. I really like the lighting on this one. It was coming to the end of the day, and the sun had disappeared behind some thin clouds. 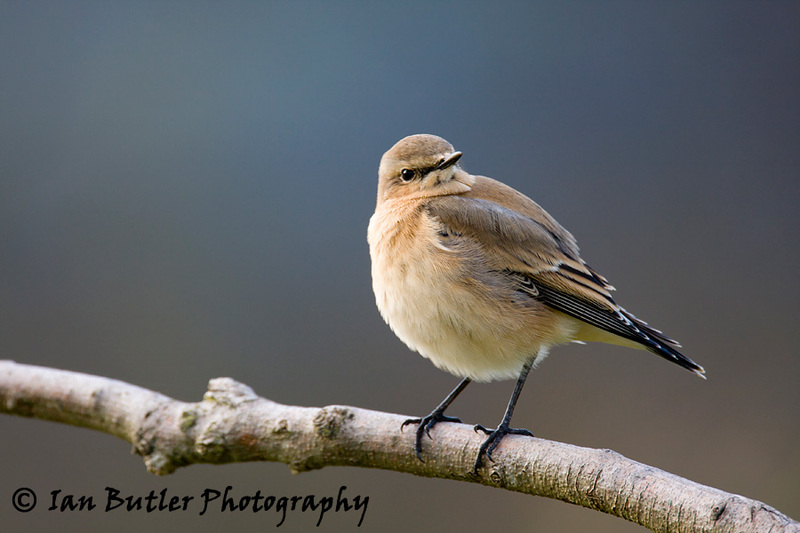 I had followed this juvenile Wheatear around for some time. It is the same individual as the bird in Image 006, (here). The background of this image is the Herefordshire county some distance below the Malvern Hills. I really like the soft pastel colours in this. It won’t be long now before this species starts appearing back on the hills, heading north on their return migration. I can’t wait. Wheatear, Oenanthe oenanthe, Malvern Hills, Worcestershire, October, 2008. Canon 40D with Canon 500mm f/4.0 L IS lens. To finish my small selection of Borneo images, I would like to end on a spark of electricity! Image number 046 is of a lightning strike captured during one of the most exciting storms I have ever witnessed. Capturing lightning strikes is fairly to easy to achieve settings wise, but is very difficult to plan where the lightning is going to happen. A lot of patience is required but sitting with a beer on the balcony certainly helps. Although the camera could have been moved to the left slightly, there is no way of knowing where it will strike so I was very happy with this when I previewed on the back of the LCD. If anyone wants the shooting data for this please drop me a message. 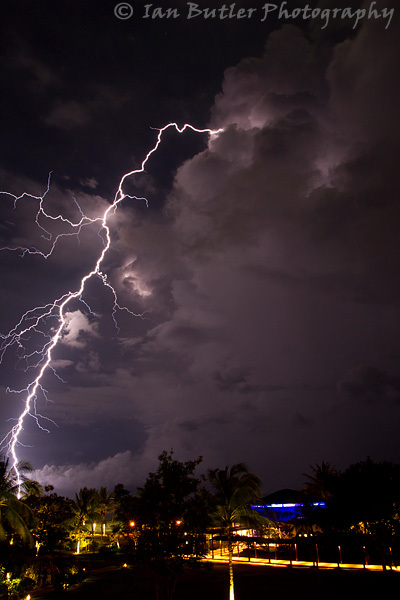 Lightning strike, Borneo, Sabah, Malaysia, April, 2o10. Canon 1D mkIV with Canon 17-40mm f/4.0 L lens. Todays post, number 045, is a Oriental Magpie Robin. A very beautiful bird completely different to the robin you would expect to see in Europe with the red breast. These were very common around the hotel where we were staying. This was taken on one of the early morning reccy’s to see what I could find. Oriental Magpie Robin, Copsychus saularis, Borneo, Malaysia, April, 2010. Canon 1d MKIV with Canon 500mm f/4.0 L IS lens. 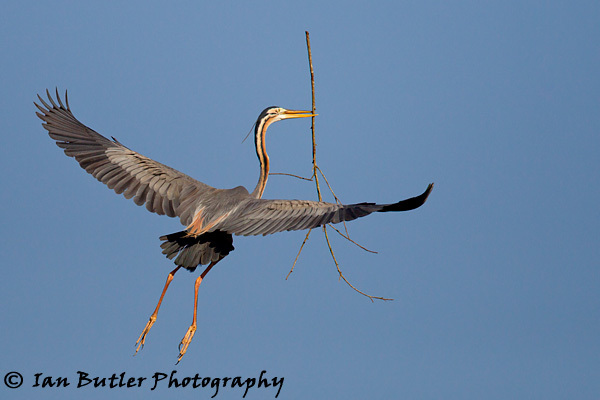 Image 044 is of a Purple Heron bringing in a large branch to its nest. You will often find that species that are rare to photograph in the UK are very common abroad and it is these situations that I make the most of. On the golf course from yesterdays post, there was a lake with an island in the middle. On the island there was a henronry being occupied by at least 5 species of heron and egret, with the Purple Heron and Little Egret being the most abundant. It was just a matter of figuring out the best location for the sunrise and waiting for the adults to start becoming active. Image 043 is of a Cattle Egret watching two gents playing golf. When visiting foreign countries which are particularly hot, always find the nearest water and you will find birds there. Golf courses are always a hot spot for birdlife. To keep the greens in pristine playing condition the gardeners water them everyday, in turn attracting hundreds of birds for their daily drink. Cattle egret, Bubulcus ibis, Shangri La golf course, Borneo, Malaysia, April 2010. 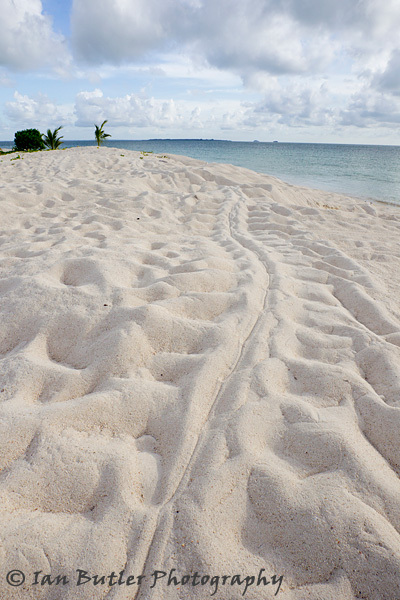 Image 042 is of a track from a Green Turtle. It was taken from the island of Pulau Selingan (turtle island). The width of these tracks were about 1metre (3ft). We stopped off for one night here on the way to the Kinabatangan River. Due to the Green Turtles being protected, rangers on the island collect the eggs being laid by the adult females and place them into artificially created nests which are then protected. On that night we were there, 33 turtle landings were sighted, of which 25 created nests, which totalled over 2000 eggs being laid!! 55 baby turtles were released that night after 80 days in incubation. Green Turtle Chelonia mydas track, Pulau Selingan, Borneo, Malaysia. April, 2010.